Leading Manufacturer of industrial sight glass valves, sight glass valves, double window sight glass valves and gauge glass valves from Secunderabad. Counted as one of the prominent organizations, we are involved in offering a wide range of Industrial Sight Glass Valves. Our valves are made from top quality components which are procured from reliable vendors of the industry. Technically advance range of these valves are made under the firm direction of experienced quality controllers who ensure us or the effective usage of these valves. We hold expertise in offering a wide range of Sight Glass Valves. 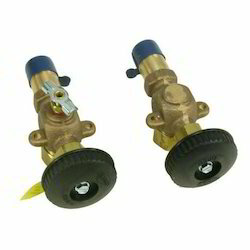 These are made using first grade components which are procured from reliable vendors of the industry. These devices are one of the most favored selections of clients owing to its rugged construction, accurate dimensions and longer service life. We offer these valves in various standard sizes and technical specifications. 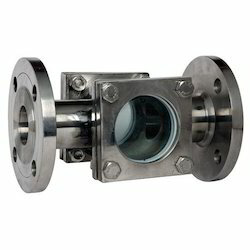 To meet the specific demands of clients, we offer a wide range of Double Window Sight Glass Valves. These are available with us in various technical specifications, dimensions and range as per the exact demands of clients. Our products are acclaimed for their rough and tough usage, dimensional accuracy and longer functional life. These can be availed at budget friendly prices. 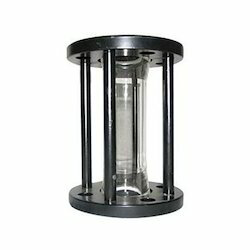 We are one-step ahead of our competitors in offering a wide range of Gauge Glass Valves. These are precisely designed and developed from unmatched quality components which are procured from reliable vendors of the industry. Demands of these valves are increasing day by day owing to its robust construction, application specific design and dimensional accuracy.